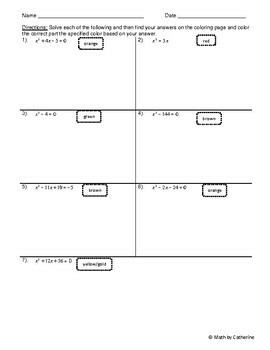 Students complete a worksheet with 7 questions on quadratic equations. All of the questions are factorable. Each answer corresponds to a color. 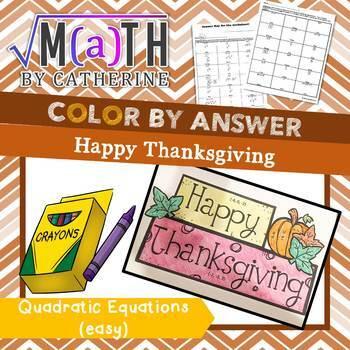 They locate the answer on the thanksgiving coloring page and color that part according to the worksheet. There are two different sets. They have the same examples on the worksheet, but different colors for the picture. Interested in one with more challenging quadratic equations? Try this one! It includes the quadratic formula!